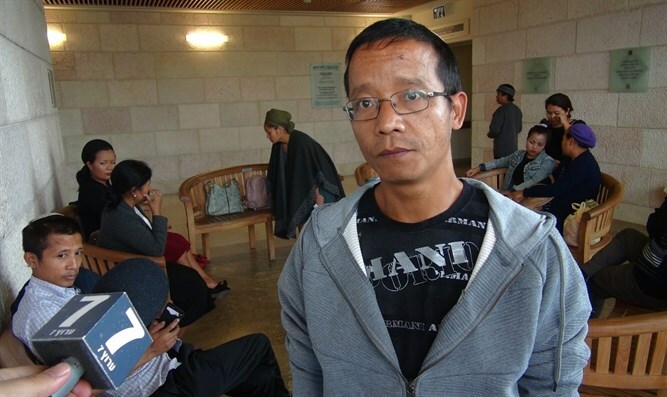 Shmuel Tzanakuel, the brother-in-law of Evenezer Holhering, the Kiryat Arba resident who was seriously injured on Friday in a ramming attack in Gush Etzion, has been sitting at Holhering's bedside in the intensive care unit at Jerusalem’s Hadassah Hospital since the attack. “On Friday, Evenezer left Kiryat Arba for work. At the Gush Etzion Junction, a terrorist rammed him with a vehicle. [Evenezer is] a wonderful person who loves his family, a father of six children who love him. He is a man who is always ready to help,” Tzanakuel said.